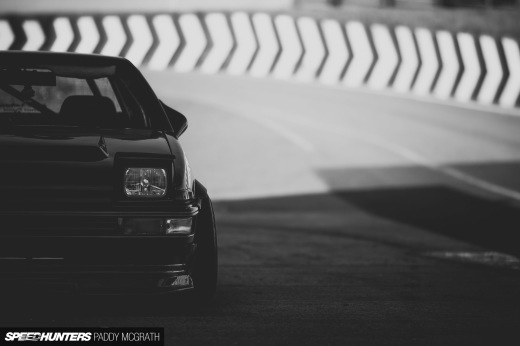 The Toyota AE86 is easily one of the most recognizable enthusiast cars of all time. 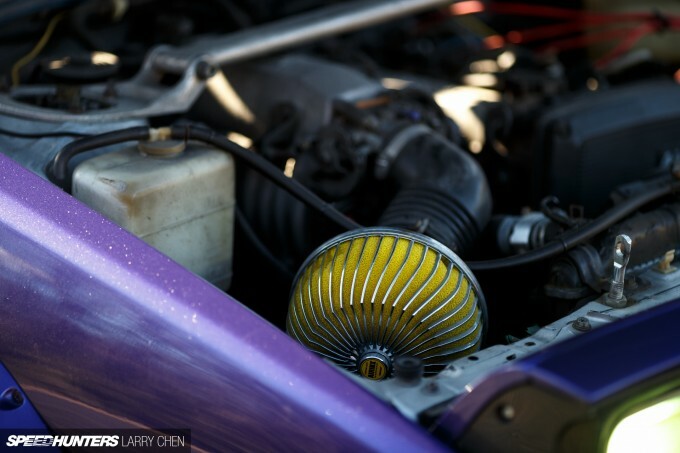 We’ve featured dozens upon dozens of them here on Speedhunters over the years, and they’ve ranged from daily drivers to race cars rebuilt from the ground up. In terms of both its age and its appeal, the Hachiroku is a classic in every sense of the word. 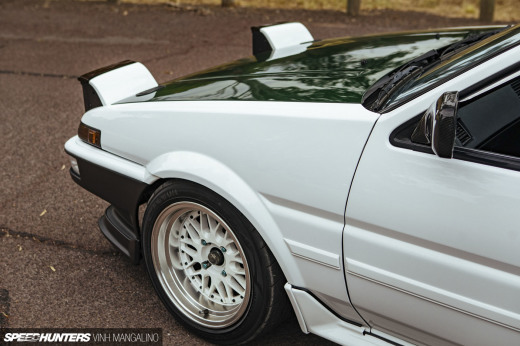 But unlike a lot of classic cars which are revered for their beautiful styling, blazing performance or limited production numbers, the AE86 is different. It’s a classic of the people. This is a car that’s earned its classic status not from being exclusive, but for being both fun and attainable. 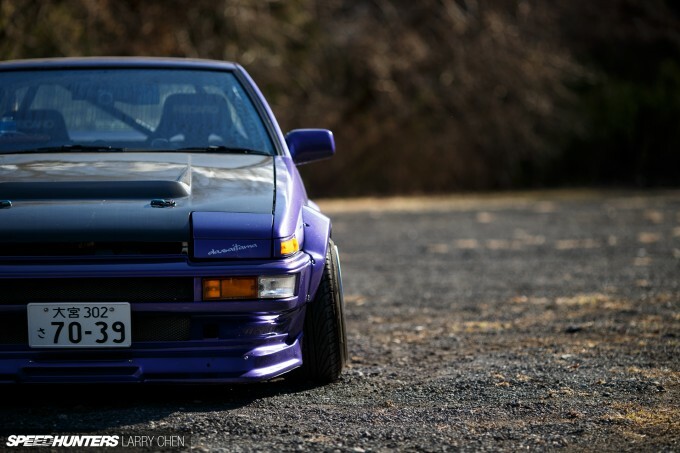 Toyota had a capable machine on its hands when the AE86 was introduced in the early 1980s, but it’s the owners and drivers themselves who have made this car such an icon. 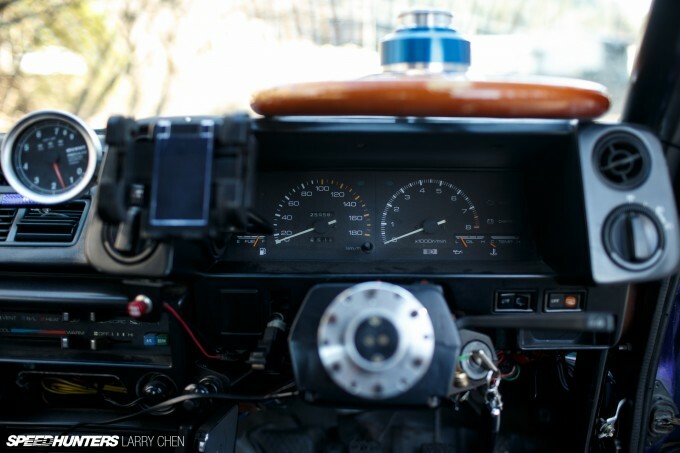 It was through years of track days, mountain road excursions and late-night garage sessions that the AE86 sealed its reputation as one of Toyota’s greatest cars. 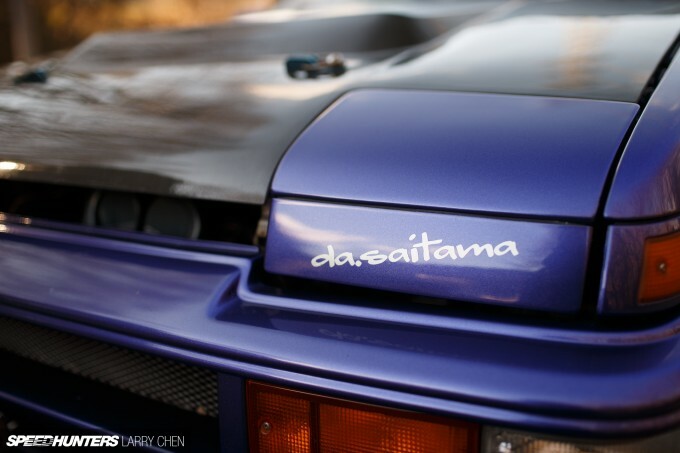 And today, more than 30 years after its introduction, the Hachiroku is as popular as ever. But this actually raises an issue – a debate perhaps. 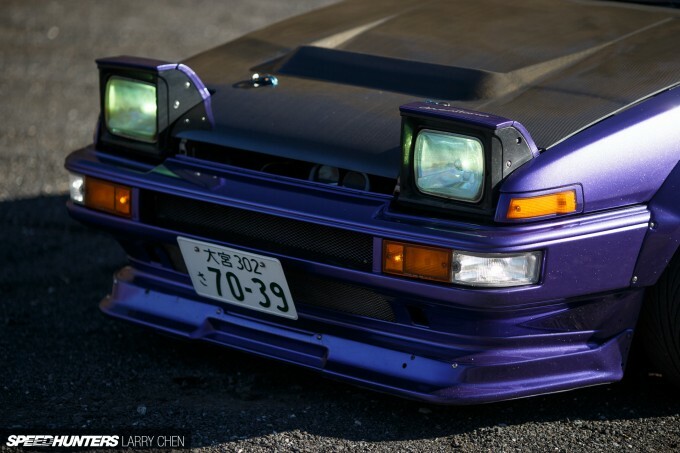 Has the AE86 reached a point where it should be preserved and looked after like a traditional classic car? Or should it remain a machine that can be modified, tweaked and driven to within an inch of its life? It’s an interesting question to me, and I can certainly understand both sides. 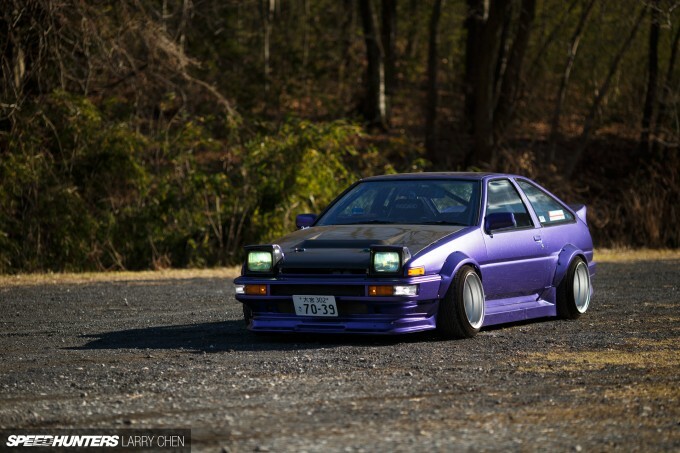 On one hand there are plenty of AE86s out there that have been crashed, poorly modified and generally abused to the point of no return. And with fewer clean base cars to go around, the demand for nice examples seems to be at an all-time high. These days you have to think twice before tearing into one – or at least that’s the feeling I get from seeing all the high-priced examples floating around in the classifieds. 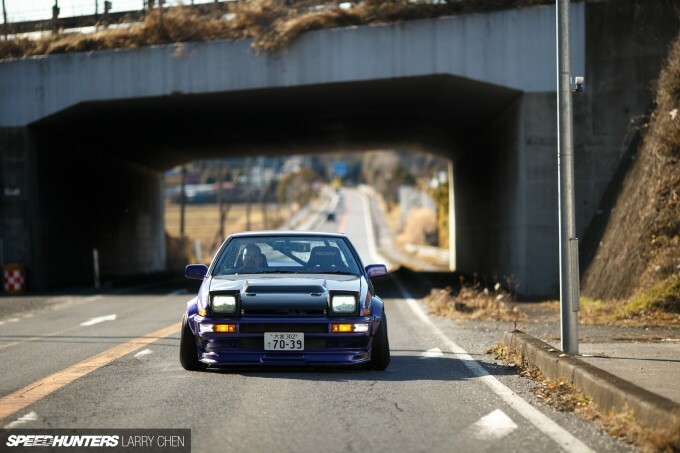 But at the same time I don’t think the AE86 should be treated like something that it’s not. No matter how popular it gets, this car will never be a Ferrari or a Porsche. I don’t really look forward to a day where you can’t drive an 86 in anger or alter the body because of fear you will ruin its collector value. Fortunately for now at least, there’s no shortage of AE86 drivers that aren’t afraid to get down and dirty with their classic Toyotas. 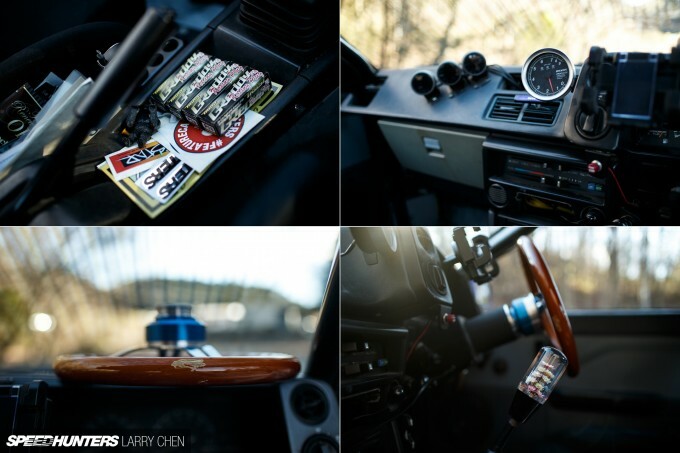 And at most drift meets at Japan’s Nikko Circuit you’re bound to find a sizeable contingent of AE86 owners who build and drive their cars as they were meant to be. 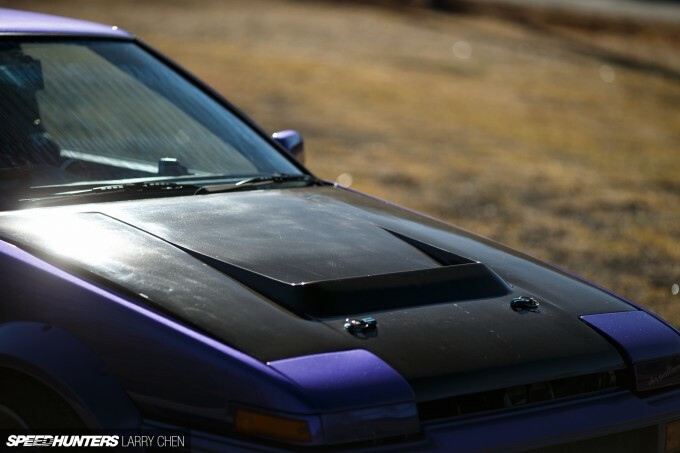 That’s where Larry found this purple Trueno, which is a perfect example of the privateer-owned AE86s that populate Japan’s drift events. 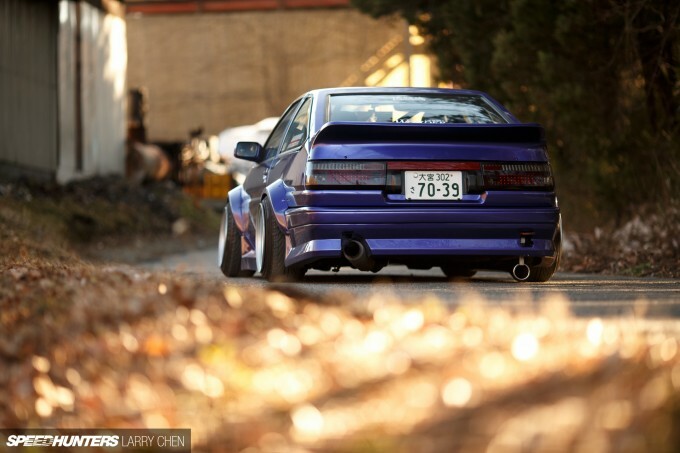 In other words, this is a car that fully embraces all that makes the Hachiroku so great. Anyways, back to the car. 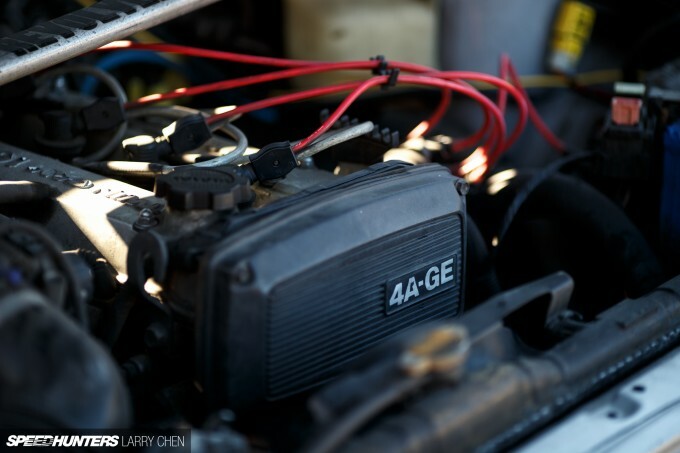 The AE86 has never been known for having tremendous horsepower, so it’s not surprising to see that this car retains a factory 16-valve 4A-GE motor. It has, however, been fitted with a number of popular 4A-GE tuning parts including high compression pistons, upgraded cams, a Trust intake and an A’PEXi exhaust system. 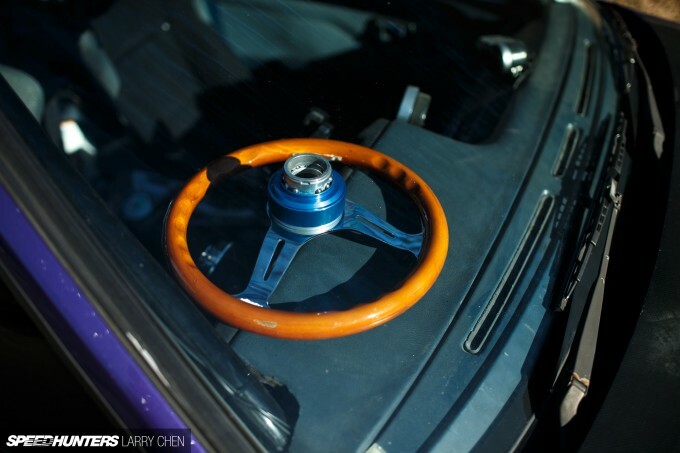 It’s quite common to see AE86s with mismatched suspension setups that use secondhand and custom-engineered parts, and the owner of this car tells us this setup was built entirely with used parts of unknown brands. 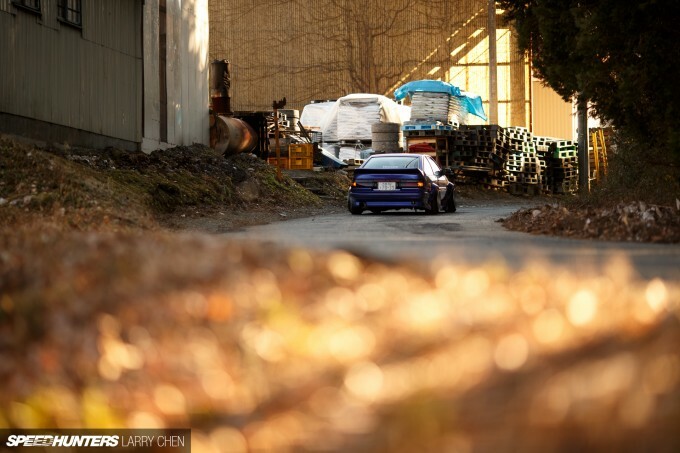 Whatever the case, it seems to get the job done when it comes to drift outings. 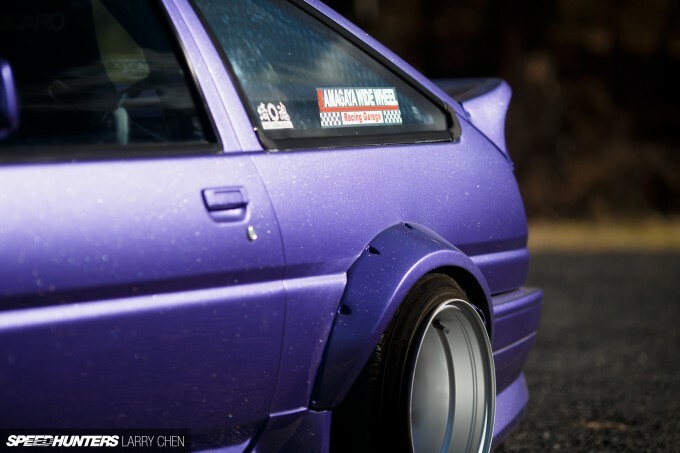 There are many different approaches you can take when it comes to styling an AE86, and the theme on this particular car can best be described as ‘low and wide’. You’ll find many of the common 86 exterior part upgrades accounted for here, including a vented carbon fiber hood, an aggressive front bumper and an HID kit for the factory pop-up lights. 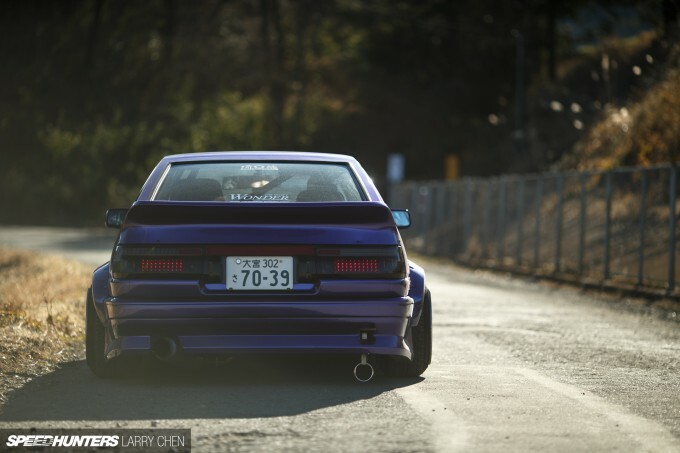 Hachiroku enthusiasts will likely recognize the over-fenders which were provided by Crystal Body Yokohama – better known as CBY by the 86 faithful. The rear spoiler is a TRD N2 style piece from Garage BB and it extends a full 80mm outward off the rear deck. 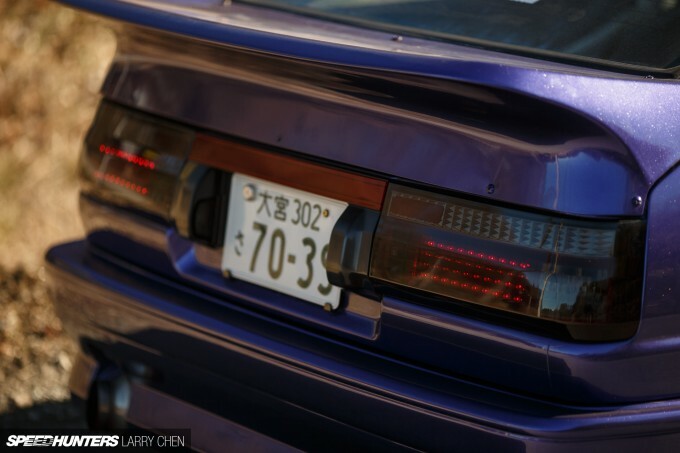 Matched with some smoked LED taillights, the 86 has an impressive profile from the rear. Last but not least are the wheels. They aren’t aftermarket pieces, but steel wheels widened by Kamagaya Wide Wheel – a workshop in Chiba that’s well known among Japan’s kyusha crowd. The steelies measure 15×9-inch with a -41 offset in the front and 15×10-inch with a -51 offset in the rear. The tires are 195/45R15s all around. 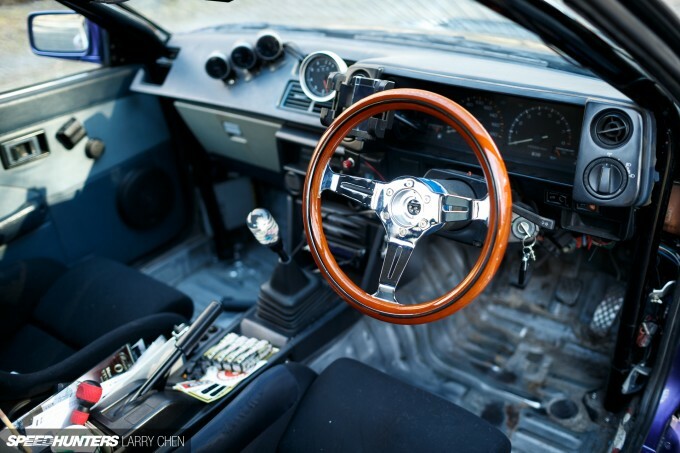 The interior is a typical budget-built AE86 affair with the carpet stripped out, a deep-dish steering wheel and a few additional gauges to keep tabs of the 4A-GE’s running condition. 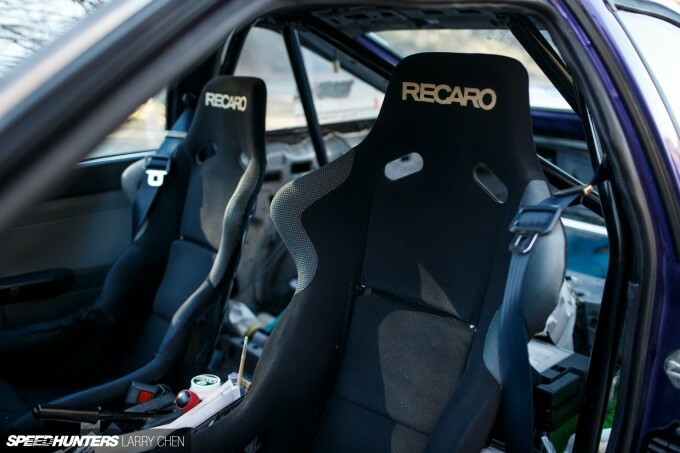 Let’s not forget the roll bar and gutted cargo area, as well as the pair of fixed-back Recaro bucket seats. It looks cool, it’s driven hard and the owner has a ton of fun with it. 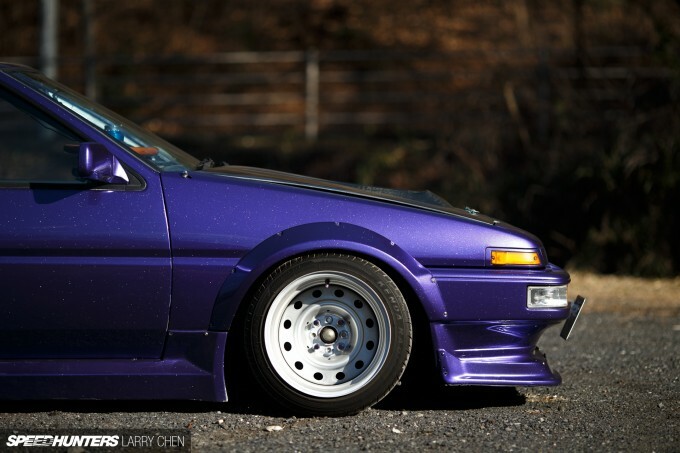 When it comes to an AE86 – or any car for that matter – there’s really not a whole lot more you can ask for. 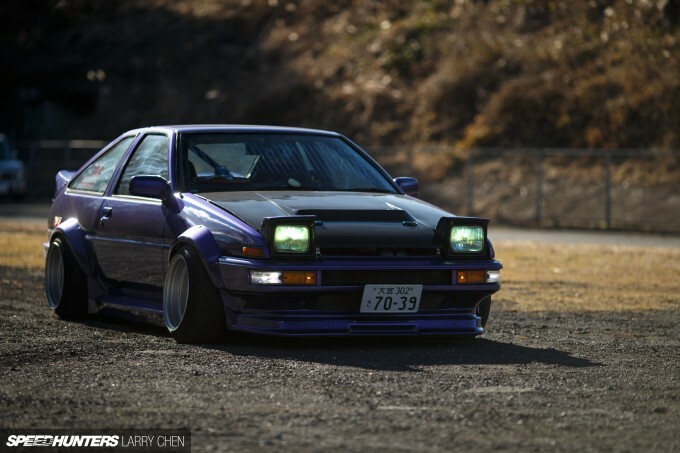 While there may indeed be a day in the future when the AE86 will be treated like an ultra-collectable classic rather than the cult favorite we all know, here’s hoping we have many years left of enjoying modified Hachirokus like this one. turbom Yeah no kidding those wheels are so simple, just perfect. Not every build can get away with that look but .. man they sing! Let the non-enthusiast lawyers and doctors worry about auction prices and collector values in 20 years. Have fun with the cars now. After all, how valuable would these things be if no one had cut them up to fit different engines, wheels, body kits and suspensions? Oh boy! This is fantastic. Wall poster material right here! 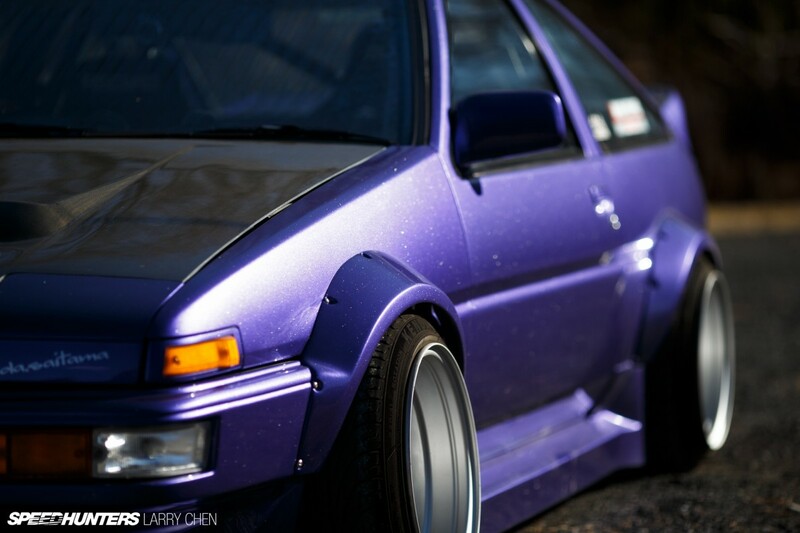 widened steelies ae 86 4ag 16 v im in love hahaha in america the reason they are so hard to find is because of hoarding when one comes up at least around here its usually a ae85 4ac roller for 1300 or 8 grand for a complete car i think its already attained collectors status. but any way great post now lets see it slide hahahaha. is it just me or does it look like a model car in some photos? I think this is one of those stories that should've come with a video, I reckon this Sprinter would sound awesome. The old "Keep it as classic or mod it argument?". My two cents, you never know what is gonna be around the corner. Maybe it will be stolen , wrecked, or obliterated by a natural disaster. It's YOUR car, do what you want, in the end you paid for it. You may have regrets, but you don't know if you don't try! Love the look here; the color, the wheels, the stance...but please do something about those tires, about the only thing that's killing it for me. LOL @ the da.saitama sticker! 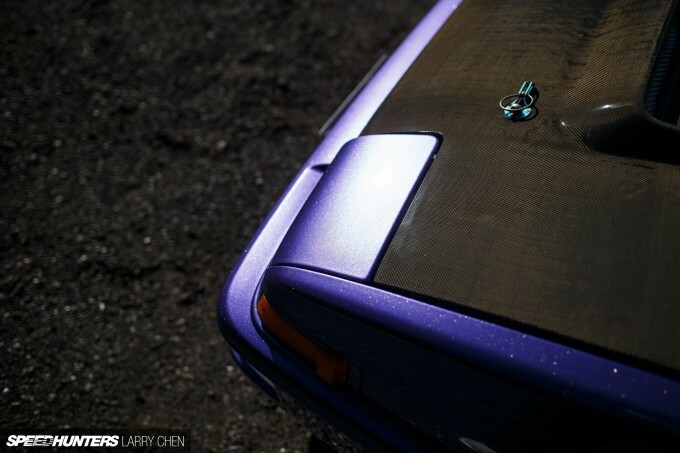 Its a fashionable car but I don't see it being worthy of a speedhunters feature...half the car was built at UpGarage then given a glittery purple paint. 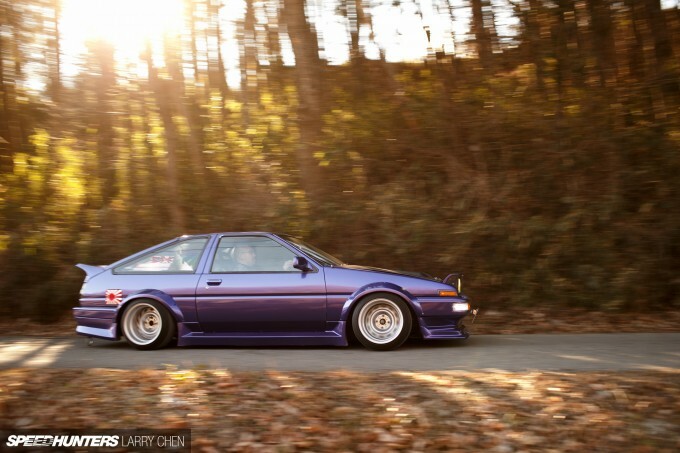 Plenty of AE86's all over the US with more character and quality. Smiggins It def has that look. I think it's the paint.